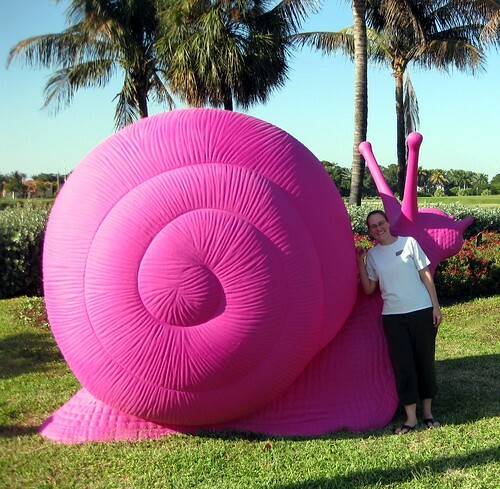 I recognize the connection to snail mail may be tenuous, but hey - it's a giant snail! How could I not share this weird phenomenon with my blog readers? 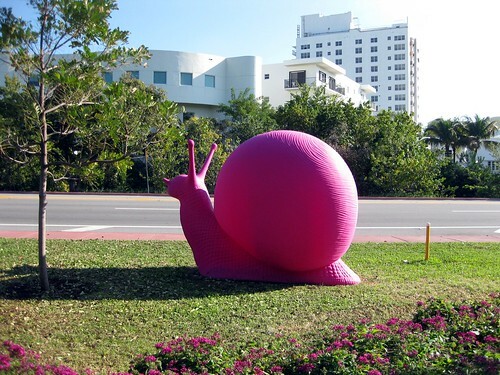 Check out pinksnails.com to learn more about the giant hot pink snails that have flooded Miami Beach, Florida for a few weeks this winter. I was in Miami Beach for a few days, and it was enormous fun to see them sprinkled all over the place in various parks and such. Also, it was great fun to see other people climbing them - and to climb them myself! It's a bummer to be away from my mailbox due to holiday travels, but among all the destinations to keep me away, Miami Beach was pretty darn awesome. So lovely pink and huge snails! Aw - you were so close!! Love the snails. Love the pink snails! And Miami would be lovely right now. I hope you are not heading back to RI today or tomorrow, though. Weather looks rough. PostMuse, I had one other travel stop after Miami. Thanks for your concern... And yes, I just got home today! Our flight was one of the last ones to touch down in Providence before everything was canceled. I feel extremely lucky. Of course the one stop we made driving through the blizzard on the way home was for groceries and to pick up the mail! So I'm happily marooned at home with a week's worth of mail now. Yay. Lucky you! Both to be able to take the trip and to get home on time. I bet now you're really glad to have spent some time in the sunshine, in a T-shirt! The snails are adorable, by the way. They remind me of the statue park in Windsor (beside Detroit). Cute creatures make parks that much more fun! 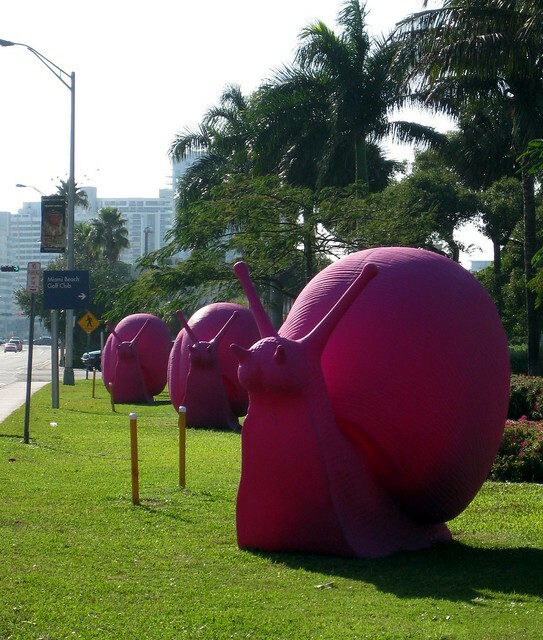 I love the giant pink snail photos. 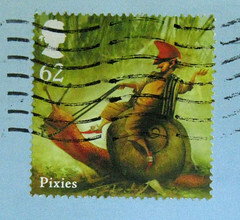 Thank you so much for the cute cat and mouse postcard you snailed (mailed) to me. To answer your question, yes, the glitter on the cute cat sticker did survive the journey. I like your penmanship on the postcard.